The scheme offers work-focussed training within the customer service and hospitality industries for unemployed individuals. The 13 week course is delivered through a series of workshops, accredited training sessions, food focussed outings, and placements in one of our four cafes based in Lewisham. This will be the only course of its kind in South East London which combines theory, practical experience and real life work experience. Many job seekers discover themselves stuck in the vicious cycle of 'no experience, no job'. We make sure every person on this course has the skills they need and then we assist them to find jobs in the catering industries. As soon as you join Eco Cafe Academy, your learning journey will begin. Our training has one clearly defined purpose, you will receive the same high quality training and development you require to be the best you can be. To master our way of serving a great cup of coffee, we have numerous dedicated Coffee Training Academy's across Lewisham, managed by our Core Skills Trainers who are proven experts in the art of Coffee making. At the end you will have gain a Barista NVQ, and the experience of working in a cafe, this will help us to then help people back into work. We celebrate the success of people and their skills. 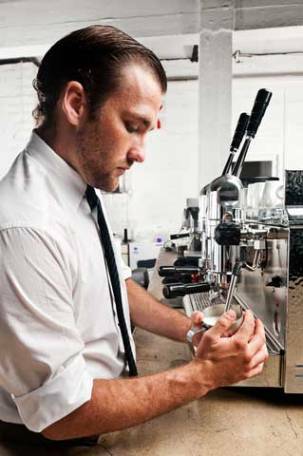 For instance, our annual "Barista of the Year" competition. Need a form for L&Q expression of interest to go on the course - Click here.